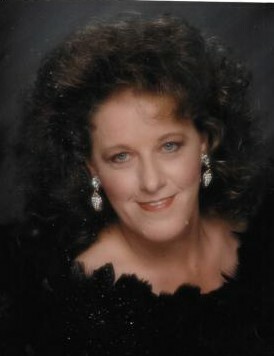 Bettie Elaine Robertson, 64, of New Franklin, passed away at her home on January 25, 2019. Bettie was born in St. Joseph, MO on May 26, 1954, a daughter of the late William Eugene and Sarah Elizabeth Boggs Robertson. She was a 1973 graduate of New Franklin High School and had been employed with Nordyne and Wal Mart both in Boonville. Bettie lovingly cared for her father in her home for nearly ten years until his death. Survivors include two brothers, David Robertson of Fayette and Daniel Robertson of New Franklin; niece, Makalah Robertson; nephews, Dustin Robertson, Andrew Robertson, Curtis Robertson, Jason Scott Robertson and Jamie Lee Robertson; great-niece, Madelyn Robertson; great-nephew, Easton Robertson and a special aunt, Dorothy Taylor. Memorial services will be held at 2 PM, Saturday, February 2, 2019 at Markland-Yager Funeral Home in New Franklin with Rev. Roger McMurry officiating. Visitation will be one hour prior to the service. Private burial will be held Boonesboro Cemetery. Memorial contributions are suggested to Boonesboro Cemetery Association.